Is it possible to get this pattern as a PDF? I can email you a PDF file. I love this cardigan! Gonna make it for our new Granddaughter. Could I get a PDF too? Email is besam2008@gmail.com! Thank you for this wonderful pattern! Since 1 lace repeat is 2 5/8”, if you cast-on 12 more stitches, you'll have one more repeat of lace and make total circumference 2 5/8" bigger. This way you can determine now many more sets of lace patterns you need to add to make it fit the chest circumference of your grand daughter with little bit of ease. Then cast off more stitches at underarm proportionally and do a few more decrease rounds until you get the neck circumference you want. I'll email you the pattern. I'd love the pattern in pdf form. My e-mail is gemerald@yahoo.com. There is a link to download the PDF file under the pattern description. Any chance you've graded the pattern for larger sizes? I made this for my newborn granddaughter and would love to make one for my three-year-old granddaughter. It's beautiful! Sorry I haven't had a change to work on grading, but I posted a note under the comments to Precept Princess above on how to grade up. You can reference that in the mean time. As I wrote above, I haven't had a chance to grade it. If you need the PDF file of the pattern, there is a link to download the PDF file under the pattern description. please if it's not too much trouble, could I get a PDF version too? my email is prithag13@gmail.com. Thanks for bothering you! 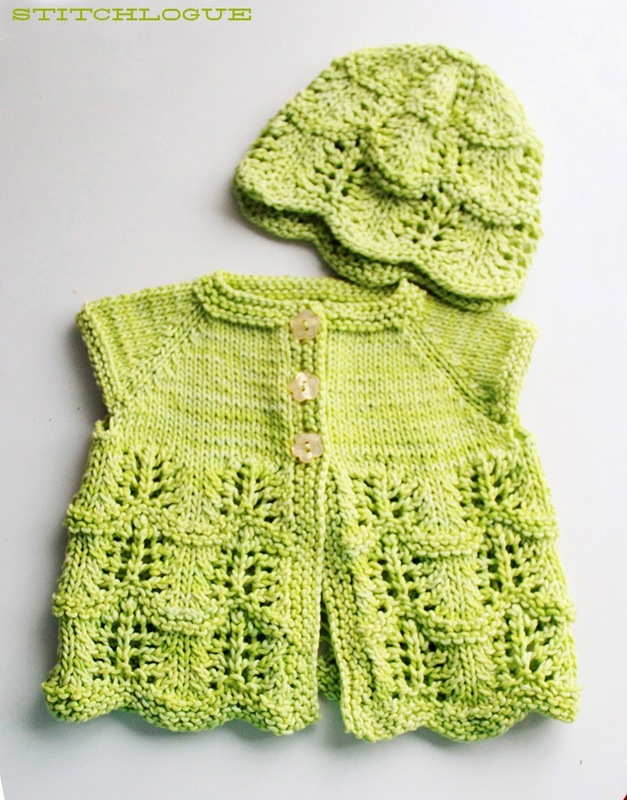 If you click the link "Scalloped Lace Baby Cap by Carrie Griffin" in the 3rd sentence, you'll get to the page. Is there a way to enlarge this pattern my 5 year old wants one? I didn't make a bigger size pattern yet. That's on my to-do list but I'm not sure when I'll get to it.Sorry! 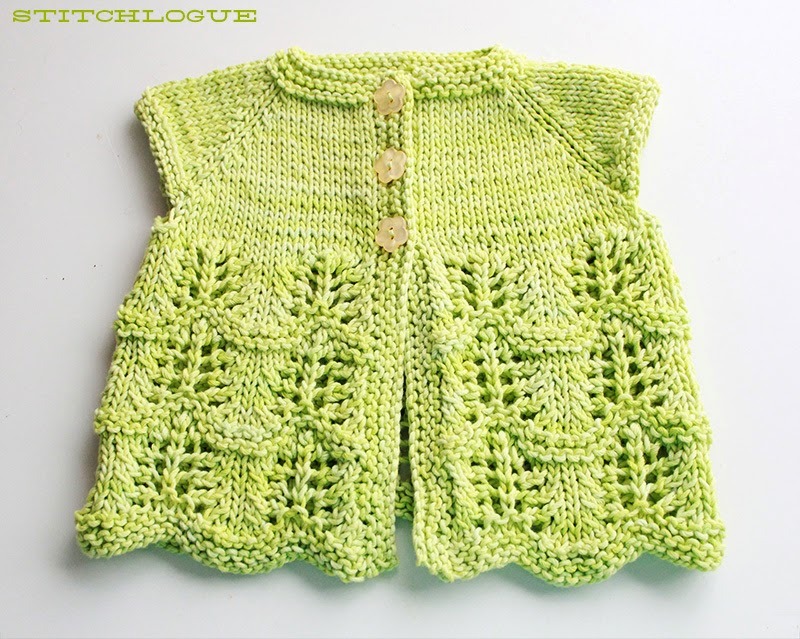 This little cardigan is lovely, thank you for sharing the pattern! Can you help me out with something though please? On the underarm section of the pattern, where it states 'move marker' does it just mean, move the marker forward one stitch? Love the outfit. Would also love to get a PDF. bguyes@gmail.com Thank you so much. There's already a link to the PDF version of the pattern in the posting. Leave this pattern is charted for knitting in the round and should be corrected by the poster. There is no excuse for posting this pattern with the number of mistakes in it. 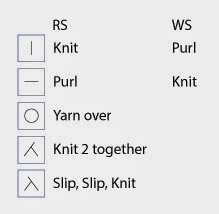 The pattern is correct for the flat knitting. If you look at the symbol keys, it show how the symbols should be read if they are on the WS rows. Since this style has small cap sleeves, the number of stitches bound off at the underarm point is not super critical as long as width of the bound off stitches is not too narrow. I'd calculate it based off of how much % of the original body width you are increasing and round it up. 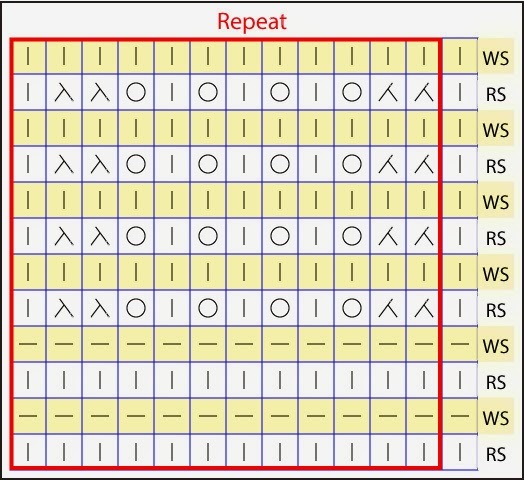 In your case, if you are increasing the body width by 2 lace sets, it's about 20% increase, so if you increase it by 20%, it would be 6.11 stitches (=5sts x 1.2). I would round that number up to the next single digit which would be 7 and bound off 7 stitches.